Security operators tasked with monitoring multiple camera feeds have a very challenging job simply because they are humans. No wonder the United Kingdom’s Centre for the Protection of National Infrastructure (CPNI) recommends a 20 min1 shift for CCTV control room operators because of vigilance decrement, a common occurrence where attention decreases and oversight increases for tasks requiring intense and sustained attention. Threat scenarios vary so operators must also be able to react swiftly and appropriately. False alarms could be costly and missed detections could be deadly so control rooms are operating under tremendous pressure, which in turn increases the risk of errors. 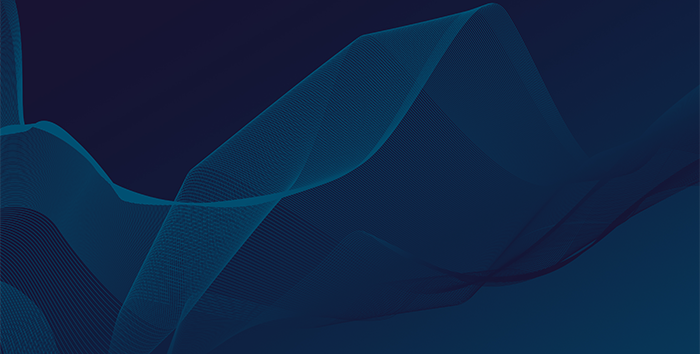 Physical area – Scene analytics can identify and classify unattended objects/vehicles and suspicious movement patterns. For example, an unattended clear glass bottle on a table in the middle of a room would be classified to have a risk profile, which is different from that of an unattended backpack at the corner next to a high traffic entrance. Human – Face analytics can enable people counting for crowd traffic control and identity verification. For example, a person on a watch list entering a public event can be identified and monitored. Vehicle – License plates, makes and models can be read and referenced against a database. For example, suspicious vehicles w/mismatched plates can be identified. Let’s look at one of the most common security breaches – tailgating. Basic courtesy of holding a door for a ‘fellow employee’ might lead to catastrophic consequences. With AI powered video analytics monitoring CCTV feeds from entrances, any individual whose image does not have a match in the authorized personnel database can automatically trigger an alarm. The unknown individual can be automatically enrolled for continuous tracking across the premise with other CCTV feeds to assist security intervention. While tailgating alone might not warrant a drastic response such as a lockdown, if there are other threats – unattended backpack at the corner of a cafeteria and a parked vehicle with a license plate registered to a terminated employee- detected within a short timeframe, it might lead to a different conclusion. Note: this story originally appeared on Micro Focus’ IM&G blog. 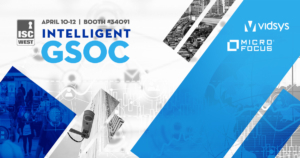 Vidsys and Micro Focus are partnering together to bring Intelligent GSOC to ISC West 2019! ISC West is the largest US security event featuring the latest products, training and best networking opportunities in the industry. This year’s event will be held April 10-12th in Las Vegas, NV. Stop by Booth #34091 to learn more about how this joint solution can make a difference in your security operations. Visit our ISC West event page to schedule a live demo at the show!